Disks around young stars are the birthplace for planets like Earth and Jupiter in our own solar system, but also for the hundreds of planets discovered around the neighboring stars to our sun. 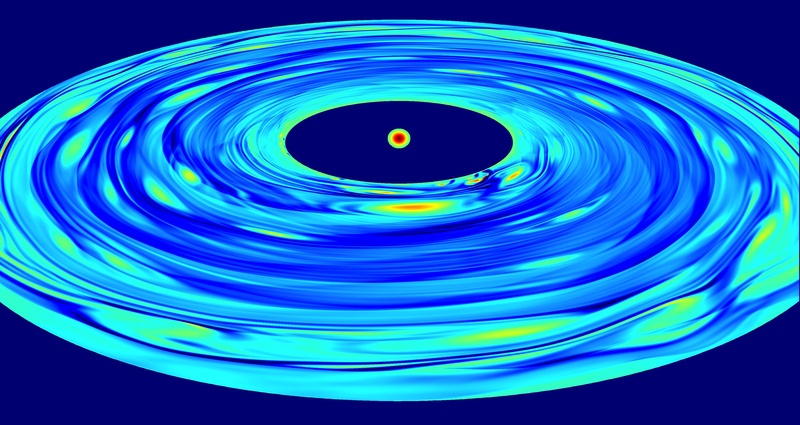 From computational simulations like the one shown in the image we know that these dusty gas disks behave pretty much like the earth atmosphere. We observe anti-cyclonic vortices like the high pressure regions in the earth atmosphere. 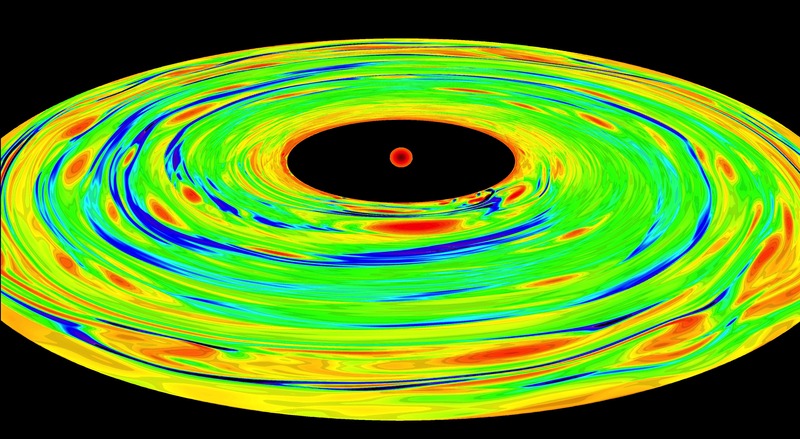 These cyclones (red spots) are the preferred places for planet formation.